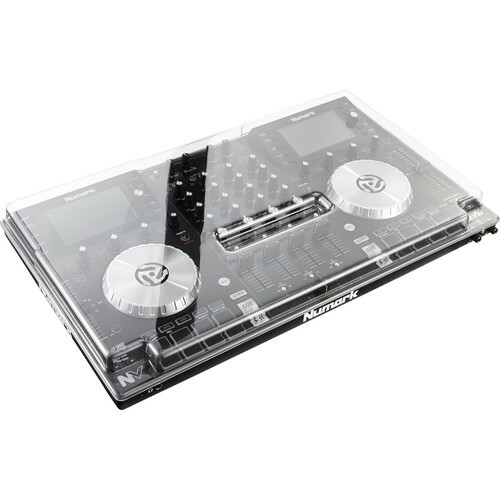 Finished in a clear smoky sheen, the Decksaver Cover for Numark NV and NVII was designed for DJ's who want to protect their Numark NV and NVII controllers. The cover is conveniently custom molded to fit the contours of the controller and shields the faders and controls from dust, liquid and accidental impacts while still accommodating the cables. The durable polycarbonate shell offers additional protection and will fit in controller bags when you need to travel. Box Dimensions (LxWxH) 21.0 x 12.0 x 1.5"